These four simple concoctions can help you build muscle, lose fat and hit your nutritional goals through the hectic holiday season and beyond! This just in: winter wreaks havoc on fitness goals! Motivation drops with the mercury, and seasonal pounds pile on as quickly as bad holiday sweaters. Before you know it, you'll be fatter than a holiday turkey and slower than. Stop right there - not this year. This year, you can fight the winter fitness sludge with a little something called ... soup. That's right, you heard me: soup. 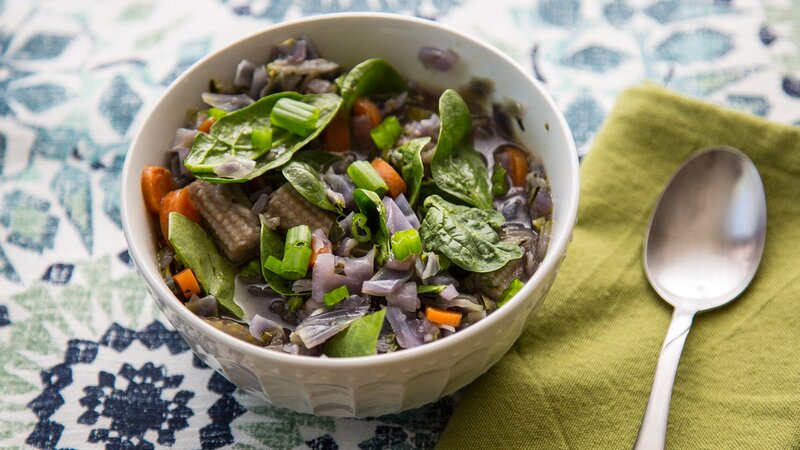 Not only is soup a warm and wonderful comfort food, but it can be a great fitness food, too! You can make high-calorie muscle-building bowls or low-calorie fat-loss cups. Even better, hot liquids have been suggested to curb high hunger levels. Soups containing less than 100 calories per serving can help you melt winter blubber like salt on snow. Or, make a high-calorie protein chili to build winter muscle. Pretty soon, you won't be throwing snowballs, you'll be throwing entire snowmen. Whatever your winter fitness goal, take a look at these top recipes specifically seasoned for a variety of nutritional needs! 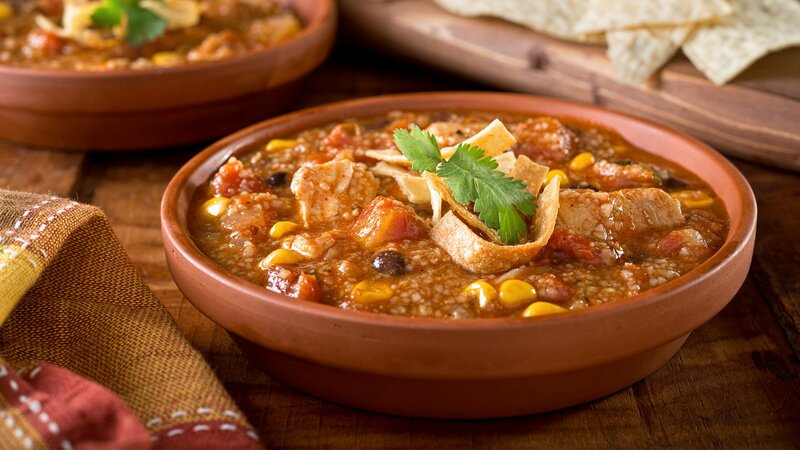 This muscle-building chili recipe is jam-packed with protein, complex carbohydrates and fiber! Use it for a quick lunch on the go or between meals for a high-calorie snack. If you're not a barley fan, it can be omitted. 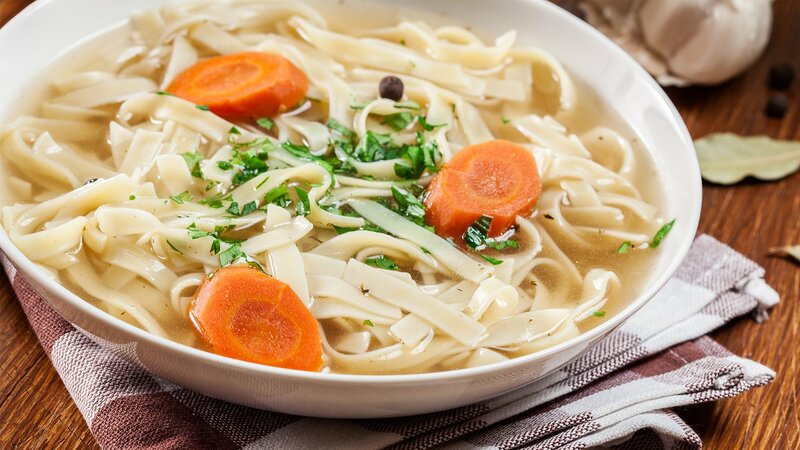 This soup is a perfect option for those looking to lose weight and defeat hunger. The key to any fat loss diet is keeping your hunger levels low! This variation of the classic favorite is loaded with antioxidants, nutrient-dense, and designed to support your body-composition goals. If you're building muscle, double up the pasta serving for more carbs. If you're on a strict low-carb diet, prepare it without pasta for a leaner option that works with individual goals. For something original, try this oriental noodle bowl. 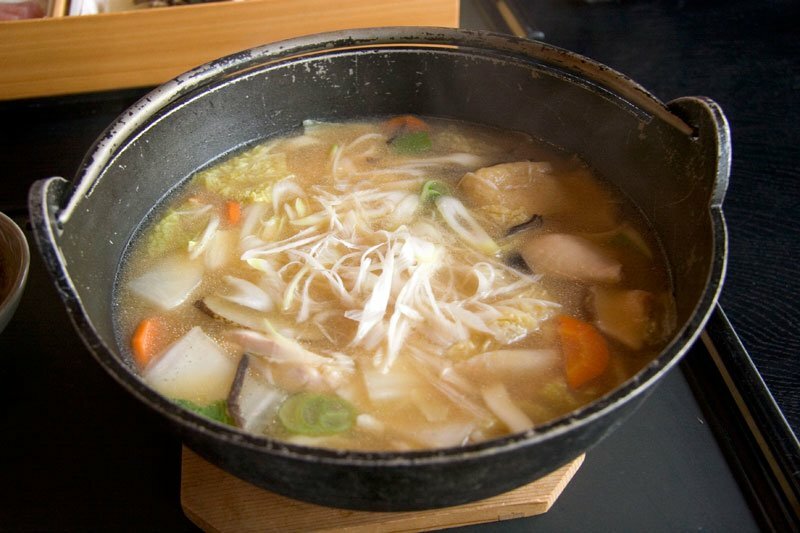 Many oriental dishes served at popular fast food chains are loaded with MSG, fat and sometimes sugar, but this soup offers wholesome nutrition. If you like, liven it up with your favorite vegetables!